Environmental laws require that industrial applications protect water quality including runoff and what can infiltrate into the water table. 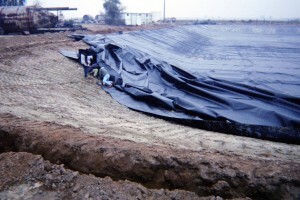 Thunder Mountain installed a High Density Polyethylene (HDPE) Pond Liner in the Foster Farm Fertilizer Plant evaporation pond. 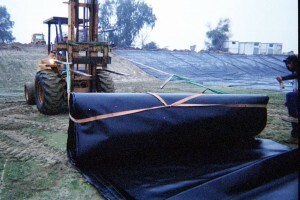 A 60 mil HDPE liner was used due to its resistance to chemical degradation and ultraviolet light degradation. The system was designed to withstand full exposure to the sun.